If you’ve recently painted your hallway, or you’re thinking about upgrading your front hall and entryway, there are many things to keep in mind. The width and length of the hallway and the height of the ceiling are obviously important, but what about the color of paint you’ll use and the style of light fixtures you’ll install? You may have a certain piece of decor you want to place in the hallway, such as a new painting or photograph. 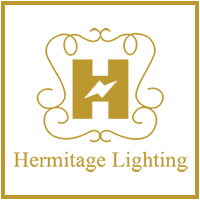 Whatever the case may be, the team at Hermitage Lighting Gallery in Nashville can help you plan and create your new hallway lighting and design. Your home may have a short hallway, a long hallway, a tall hallway, or a tiny hallway. Regardless of the space’s dimensions, there are lighting and decor choices that will work in your hall. It’s important to properly measure and keep in mind how wide, long, and tall your hallway is so you don’t accidentally install a hanging fixture that people run into every time they walk through the space. If the hall isn’t very wide, you won’t want to install wall sconces that people could potentially bump into when they enter your home. Picking lighting options that work within the space will make your hallway feel more open, no matter what it’s dimensions are. For halls with low ceilings, flush-mount or recessed fixtures are often the best choice. If you have artwork or photographs on display, focused track lighting is also a good option. These fixtures can be close the ceiling and will provide illumination for your decor while not encroaching on the space needed for people to comfortably walk down the hallway. You also want guests to stop and look at your decor or family pictures, and having everything adequately lit can help with that. For long hallways with higher ceilings, multiple hanging fixtures can be an option. The unity of the fixtures will provide a nice design touch, and we have an outstanding inventory to choose from in our showroom. You’ll want the entire length of the hall to be illuminated, but it’s important to pick fixtures that provide enough light but don’t oversaturate the space. We can help you calculate the number of fixtures and necessary wattage based on the height and length of your hallway. It’s okay to have some shadows and dark spots in your hallway, but make sure guests can see as they move from the front of your house to the first room. Hallways as a Living Space? For homes with a narrow hallway, there usually isn’t much thought about using it as a living space. However, if there is a tall window in the hall and the space is wide enough to accommodate a chair or bench, it can make a perfect reading spot. You’ll be able to read by sunlight during the day, and a well-placed wall or table lamp will make it cozy during the evening. Speaking of sunlight, it’s always beneficial (if you can) to incorporate natural light into your hallway lighting design. If the hall leads to your front or back door, think about how you can maximize the natural light that reaches the space. That way, you won’t have to rely on your lights during the day. If you have questions about hallway lighting, or you want to find new fixtures that could work in your new design plans, come to Hermitage today. We know hallways can be a forgotten space, but with the right lighting and decor, it can be as comfortable and inviting as your living or family room!